As ingredients are always listed in order of quantity, you will see that the primary ingredient is sugar. followed by other stuff, some of which I've heard of, others not so much. I can't be 100% sure they are good for me, either way, so I might as well avoid them if I can. Sugar is, also, incredibly cheap. So, for your money, you are getting; a very cheap ingredient, a bit of cocoa and some other stuff you don't really need. On the surface, you would expect a Value product to be, well, value, but that actually isn't the case here. The Value product costs 58p for 400g and the Cocoa costs £1.99 for 250g. 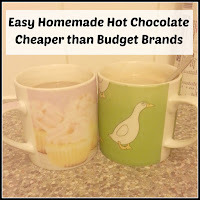 This sounds as if the Cocoa is a lot more expensive, but, with Cocoa, you only need 1 teaspoon per drink, instead of 5 of the Value Hot Chocolate. The figures (for anyone that's still awake, this wasn't meant to be a maths exercise!) 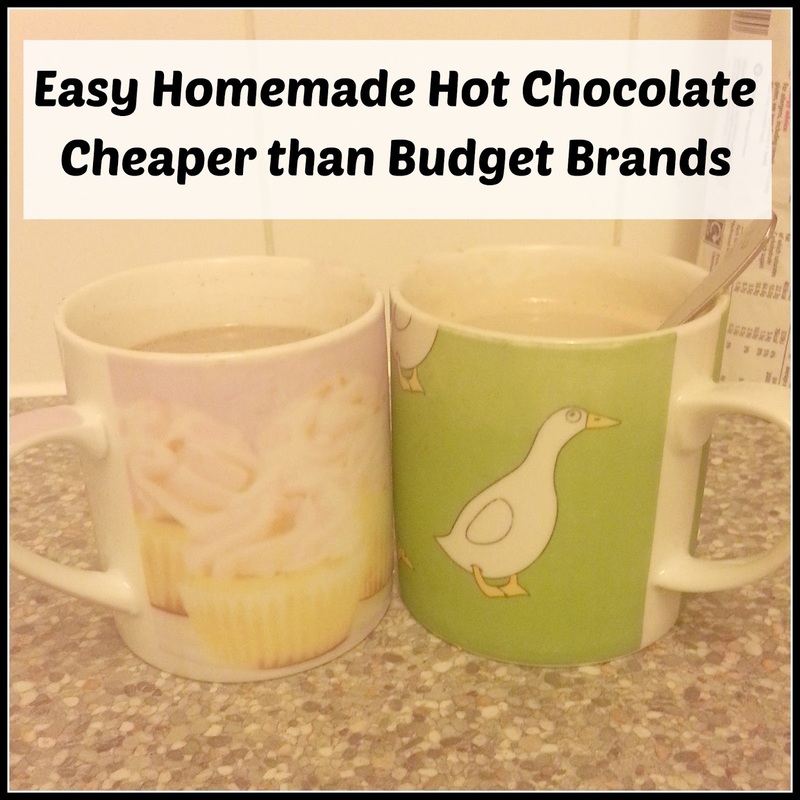 work out at 3.63p per serving for the Hot Choc and 0.04p for the Cocoa, so it's really a no-brainer. Once you've done the maths, obviously, that was a bit of a brainer. I had always made cocoa the traditional way, gently warming milk in a saucepan, before adding cocoa powder and stirring until it dissolved. This is a little time-consuming compared to chucking hot water onto ready-made powder, but I have since found another way to make it, which is so much easier. 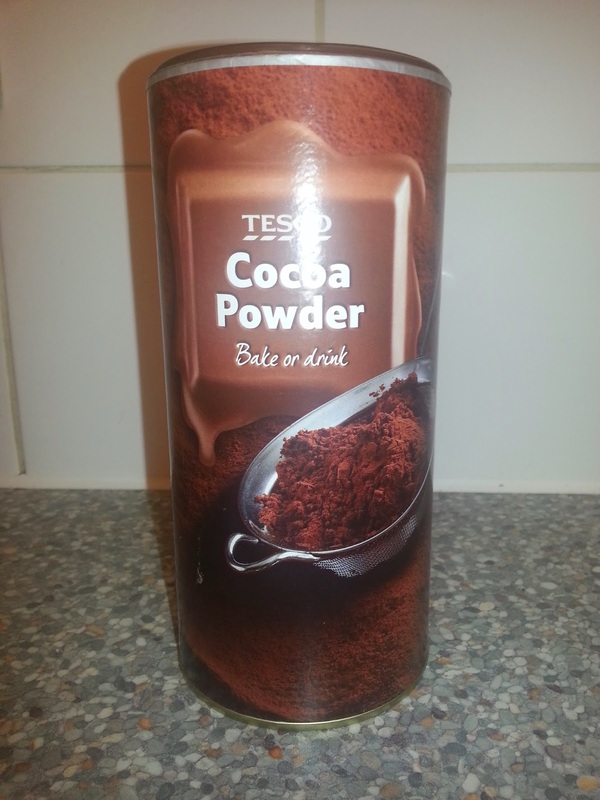 All you have to do is add one teaspoon of cocoa and two teaspoons of sugar to a mug. Mix in a little boiling water, to form a paste, then top up with whichever milk you prefer. Personally, I use Almond Milk. No dairy and a lovely nutty addition to your bedtime beverage. Pop in the microwave for one and a half to two minutes, depending on output and please remember to stir well, that pocket of heat in the centre is not fun when it makes contact with the roof of your mouth! Very wise! Your happy tummy will thank her later! My daughter likes squirty cream on top, with marshmallows! ooh fab!! im not usually a fan of the cheapie ones but ill have to try this! I've seen some people mention making hot chocolate out of cheap chocolate spread. That sounds interesting, it has a similar texture to the nesquik syrup, so it should work. It lasts for ages, so it even saves petrol going back to the shop for more! Ooh, yeah, hazelnut milk would be lovely, and good for you too! 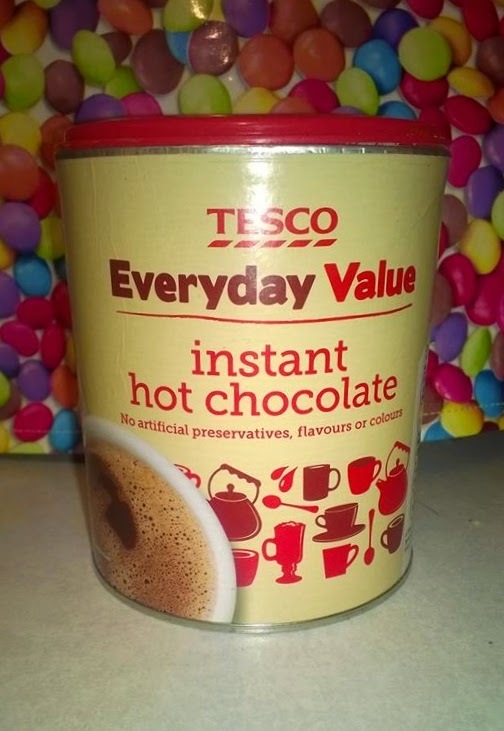 We don't do hot chocolate, but it's quite a saving using the cocoa isn't it? We always have cocoa in for baking anyway. That's a great idea, I will do that in future if I only have 'normal' milk, then I won't have to consume as much! I love the sound of hot choc made with almond milk, might give that a go. Try the nutty milk, it's amazing and still dairy free! Or if you don't like nuts, coconut is lovely too! I agree, we should all eat and drink blindfolded for a week! Weird coincidence, I made a cup of hot choc the other night using cocoa and coconut milk! 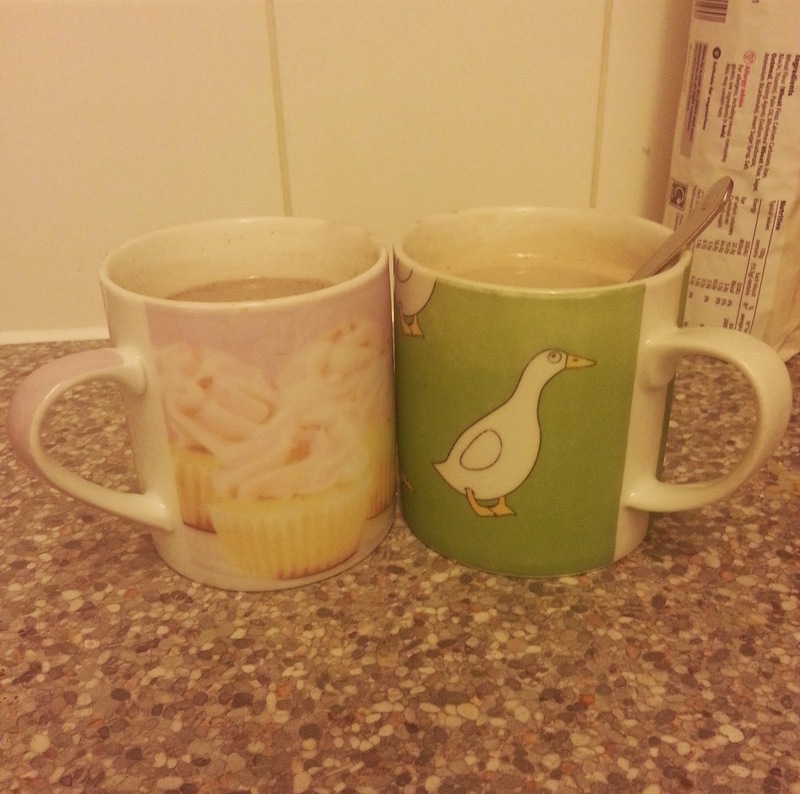 Home made hot chocolate is always nicer than packet ready ones. Have you tried stirring some milk chocolate in the milk as a treat? 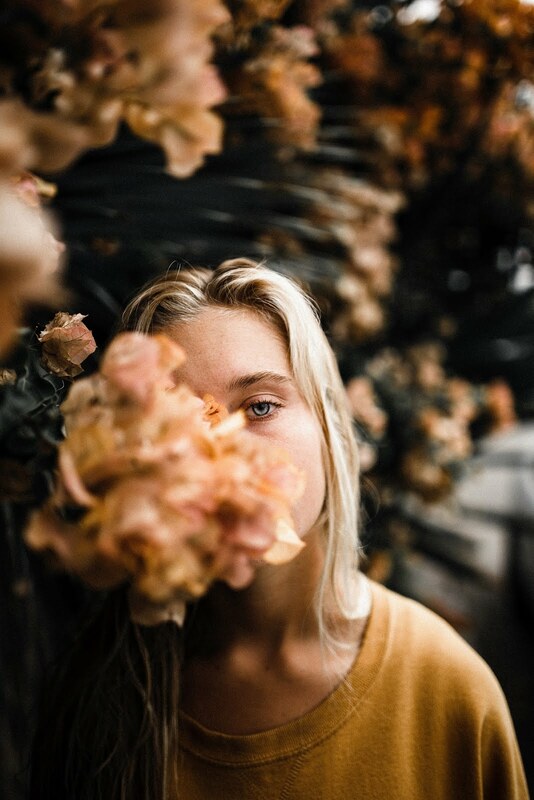 IT TAKES GREAT. I won't buy the value Hot Chocolate again - its far too watery! It's amazing how many things contain milk, I'm constantly checking since my daughter was diagnosed with cows milk allergy, will try making my own hot chocolate for her now. 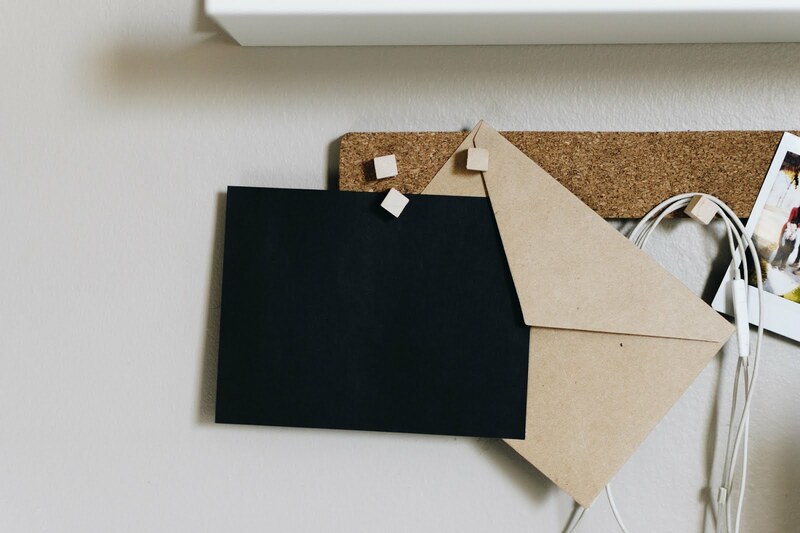 Super idea, I am so glad i have read this post! My little girl loves hot chocolate and some brands are really expensive.